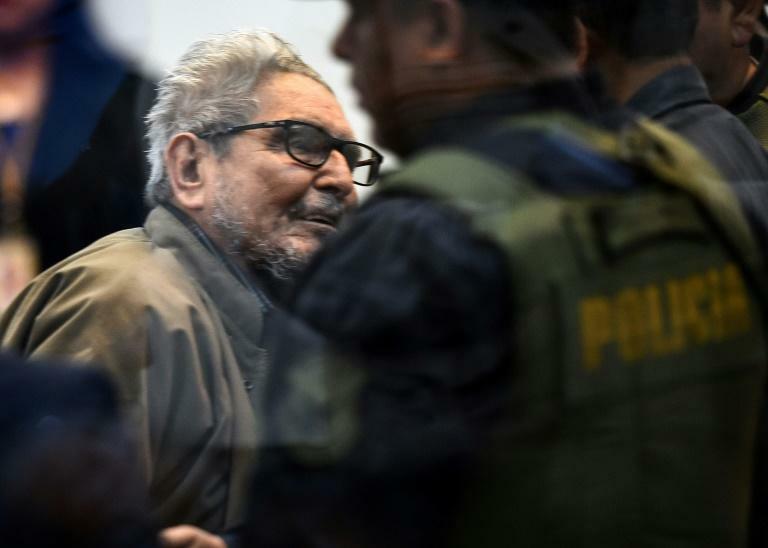 Peru's Shining Path leader Abimael Guzman, who is already serving a life sentence, was handed a second life term on Tuesday for a 1992 car bombing that killed 25 people in Lima. Three judges at the National Criminal Court issued life sentences for Guzman, 83, and nine other leaders of the Maoist-inspired insurgency which began in the 1980s. In the attack, a car packed with 500 kilos of explosives blew up in a narrow street in Lima's upscale Miraflores district, killing 25 people and wounding more than 100 others. The blast, which destroyed shops, cars and homes, was the first time Shining Path had attacked a civilian target in the Peruvian capital. The sentences were delivered at a six-hour hearing broadcast live on television at the end of a 20-month trial, which Guzman denounced as a farse, insisting he had nothing to do with the attack. He said it was a mistake committed by followers. When Shining Path began its campaign in the 1980s, its goal was to overthrow the government and install communist rule through a "dictatorship of the proletariat"
But when Alberto Fujimori took over as president in 1990, he launched a major crackdown on the Shining Path, and after Guzman's arrest in 1992, the guerrillas' activities declined sharply. That year, Guzman was sentenced to life in prison for treason by a military court but the sentence was overturned by Peru's Constitutional Court in 2003. A retrial began the same year and in 2006, Guzman was sentenced to life for terrorism, murder and other crimes committed during the two-decade insurgency which was responsible for the deaths of some 70,000 people. A 2003 report by the Truth and Reconciliation Commission found that just under half of the victims were killed by the Shining Path while a third died at the hands of government security forces and local militias. The rest were unattributed. Although Fujimori was credited with crushing the Shining Path, he was accused of authorizing a "dirty war" to eradicate them and members of the Tupac Amaru, a rival leftist guerrilla group. In 2009, Fujimori was sentenced to 25 years in jail for corruption and human rights abuses during his time in office. Today, the Shining Path is a largely defunct, renegade group of rebels hiding out in the jungle and working with drug traffickers to fund their operations.